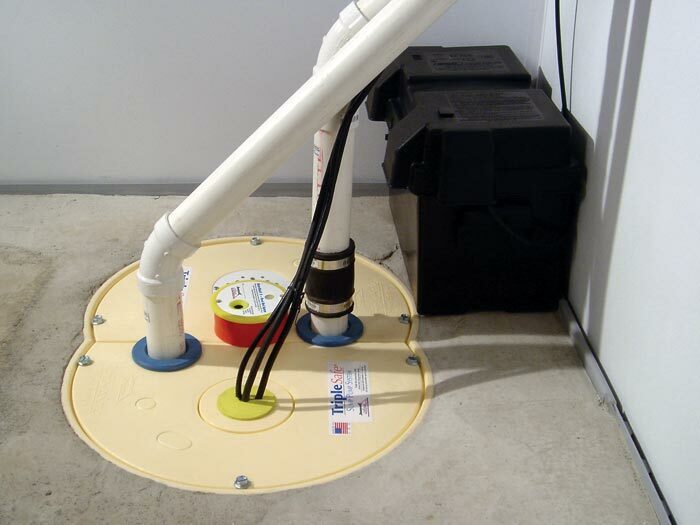 Sump pumps usually operate by collecting water in a sump pit, which is created beneath the basement floor. 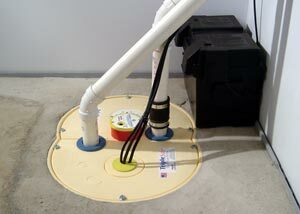 The sump pump itself can either sit above the sump pit or be placed inside of it, allowing for a lid on top. The technology behind sump pumps for basements and crawl spaces has been a forward-moving industry for several decades. 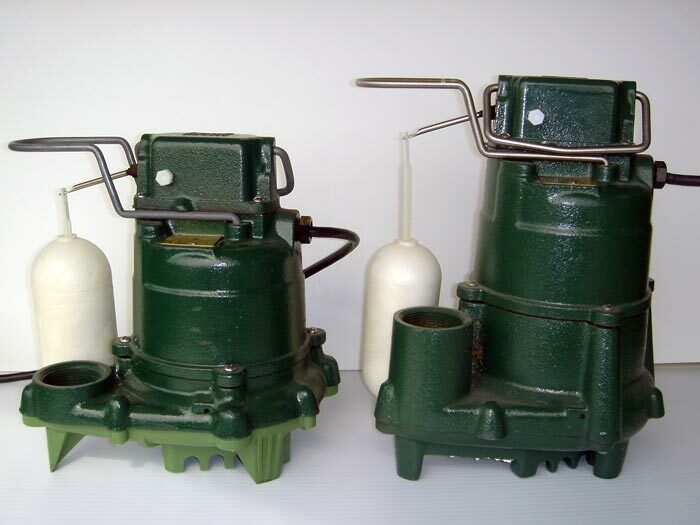 Now, more than ever before, there are a wide variety of sump pump systems available in the marketplace, including pedestal sump pumps, water-powered pumps, floor sucker sump pumps, and Basement System's preference -- submersible sump pumps. A submersible sump pump is a high-end model of sump pump that's designed to be installed inside of your sump pit. It is possible to place several submersible pumps inside a single sump pit -- including primary pumps, secondary pumps, and battery backup systems. 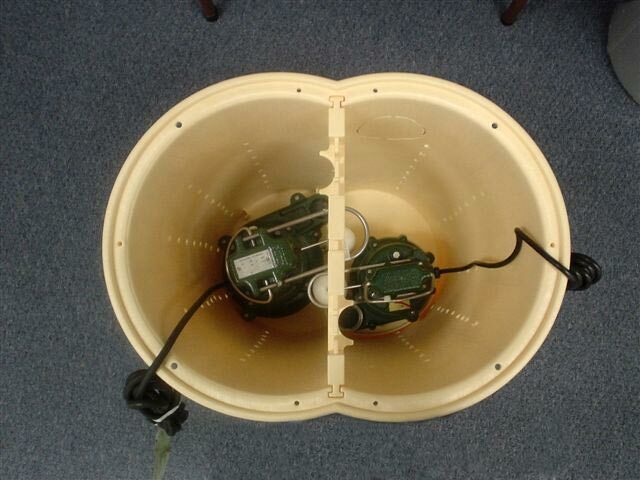 In many cases, a lid is then placed over the sump pump pit, with pipes and cords being run through openings in the lid. Your local authorized Basement Systems Dealer can show you how we can transform your basement or crawl space into a dry, usable, healthier space! A typical waterproofing system can be completely installed in your home in one, perhaps two days. 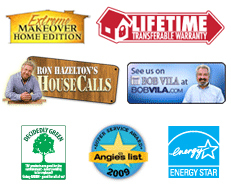 It costs you nothing to meet with an expert for an on-site inspection and customized cost quote! To sign up for a free submersible sump pump installation quote, contact us by phone or e-mail today! When the proper model and brand is chosen, we find that submersible sump pumps provide the best options for a long-lasting, powerful, and reliable system. Many of the primary causes of sump pump failure are connected to overheating of the pump during operation. Because a submersible sump pump is placed within the sump pit, where it is in direct contact with the groundwater as it pumps, it's much more resistant to overheating. The groundwater absorbs this operating heat, creating a longer lasting system. At Basement Systems, we carefully select submersible systems that will be best able to get rid of this heat, using a cast-iron motor housing that maximizes its heat transference. Additionally, we select sump pump systems that use a single housing for the motor -- which is superior for keeping the pump motor cool. Over time, a sump pit can contribute to a damp basement environment, and give it that moldy, musty smell that makes you cringe when you enter the space. Because submersible systems can be located within the sump pit, they allow for the installation of an airtight lid to be installed on the top of the liner. Sump pumps operating within a basement can also create a significant amount of noise. 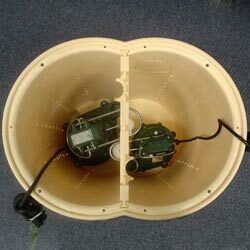 Submersible systems, complete with an airtight lid on top of the sump pit, can minimizes the potential noise. 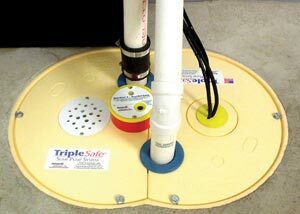 Our sump pump lid includes rubber grommets around all pipe and wire penetrations for an airtight seal, as well as to muffle noises from the sump pit. A unique ball-and-cup floor drain system is also included. 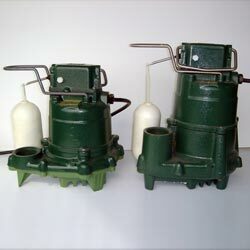 Generally speaking, submersible sump pumps are made to be of higher quality than other pump systems available on the market. This means that submersible pumps tend to be made with better materials, a more thoughtful design, and with greater power than comparable systems of other design. Systems that are mass-produced, designed using a plastic engine housing, or use a low-quality float switch can fail when you need them most. When installing a sump pump system, it's important to design your system with pumps that are a little more powerful than is needed for the job. That way, the system is not constantly running at full capacity, which would place strain on your pump system. What Type Of Submersible Sump Pumps Are Best? There's a LOT of variety among submersible sump pumps! And like most products in the home improvement industry, some models are good, some are great, and some have a lot of room for improvement. Larry Janesky, president and founder of the Basement Systems International Network, explains how different models of submersible sump pump system measures up in the long run. Larry Janesky, president and founder of the Basement Systems International Network, explains in depth what makes the motor of one submersible sump pump system so much more effective than other competing models. 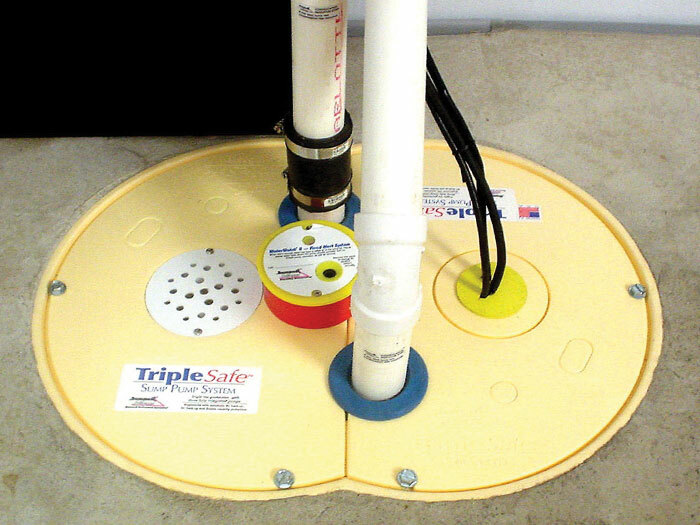 Protect Your Home From Flooding With A Submersible Sump Pump! At Basement Systems, our full-time Research & Development Department is tirelessly searching the industry for the best, most innovative products to use in our patented, warrantied waterproofing systems. To date, our systems have been successful in hundreds of thousands of basements and crawl spaces worldwide! To get in contact with your local Basement Systems Dealer for a free, no-obligation submersible sump pump installation quote, contact us today! Each free quote includes an on-site inspection and measurement, a professional consultation, and a written cost quote. As an added courtesy, we'll also send along a copy of our full-color waterproofing book, complete with everything you need to know about waterproofing your below-grade space, as well as details about our products and services. Our network of more than 300 dealers proudly serves throughout Canada, the United States, and the United Kingdom. We have a local dealer in your neighborhood that's standing by to serve you!